Joe Pride will send Ball Of Muscle to Melbourne rather than take on Redzel in Sydney. Front-running sprinter Ball Of Muscle has reached veteran status but his trainer Joe Pride believes he still has more to give and will send him to Melbourne on a Group Three mission. The eight-year-old will run in Saturday’s The Heath (1100m) at Caulfield on the back of a winning barrier trial at Warwick Farm last week. Pride has also entered Ball Of Muscle for the Concorde Stakes at Randwick but believes he is better suited in Melbourne despite the strength of the nominations. “The Melbourne race has come up a bit stronger than I expected but I think he will still go there rather than take on Redzel and Invincible Star at Randwick,” Pride said. “The other plus is that Glyn (Schofield) will be at Caulfield and he knows him well. 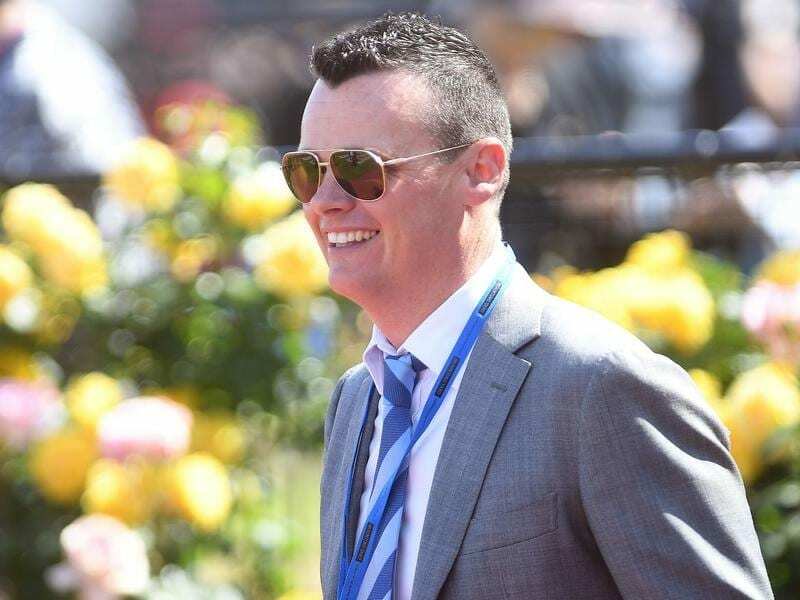 Schofield, who will be at Caulfield to ride Kementari in the Group One Memsie Stakes, has been aboard Ball Of Muscle for seven of his nine wins including the Listed Absolut Stakes over the straight 1000 metres at Flemington in November. Ball Of Muscle is the last of three siblings from grand producing mare Parfore to have been trained by Pride at Warwick Farm. By Dubawi, he is a full brother to 2014 Galaxy winner Tiger Tees and a half brother to dual Group One winner Terravista who was retired as an eight-year-old earlier this year. The Darren Weir-trained Voodoo Lad is the highest-rated of the 17 entries for The Heath with considerable interest surrounding his new stablemate Kemono. Weir believes if the Japanese import runs as well as he expects he should be considered for one of the two remaining slots in the $13 million Everest at Randwick in October.